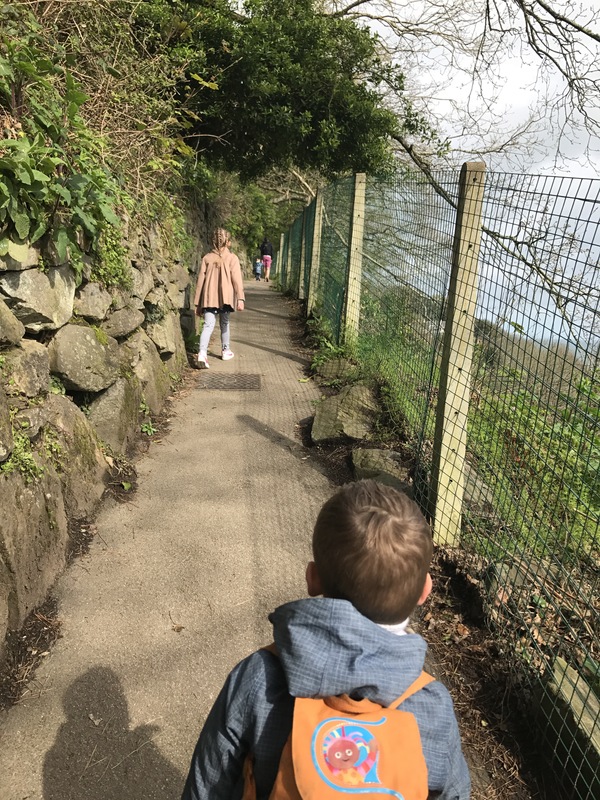 We’ve done this walk with the children at various ages and had the buggy or a sling but today we had them all walking. We park at Carbis and it depends on the season as to where. Out of season we use the Carbis Bay hotel as it’s £3 all day and is the best location right by the beach but it jumps to £10 for a day in high season. So in summer we park on the station car park and walk down as it’s only £5 all day. You will need to be there before 10am as there aren’t that many spaces. The walk down is VERY steep so I often send Steffan up to get the car and then you can quickly park at the bottom by the beach to load up. 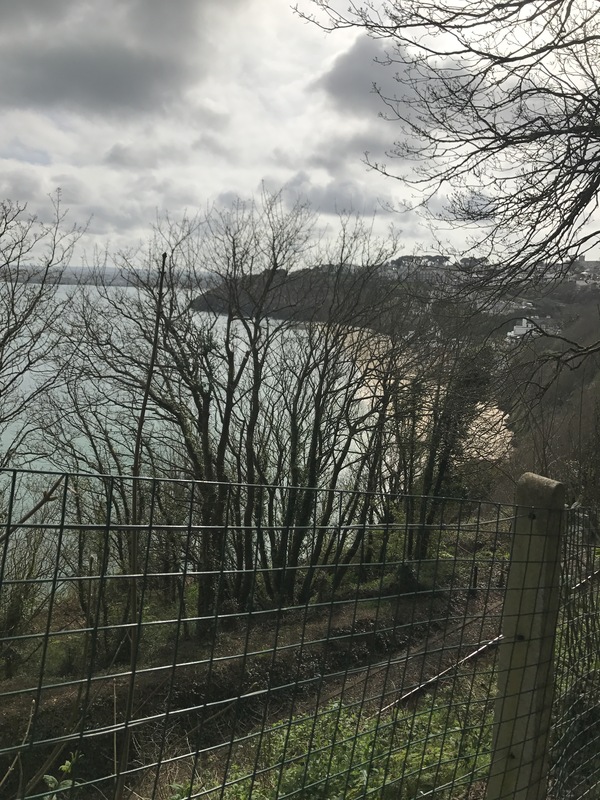 Currently there is a diversion through the hotel for the coastal path, but it means you get to have a look at the swimming pool and the hotel! I wouldn’t be so pleased if I was a guest in the hotel using the pool. 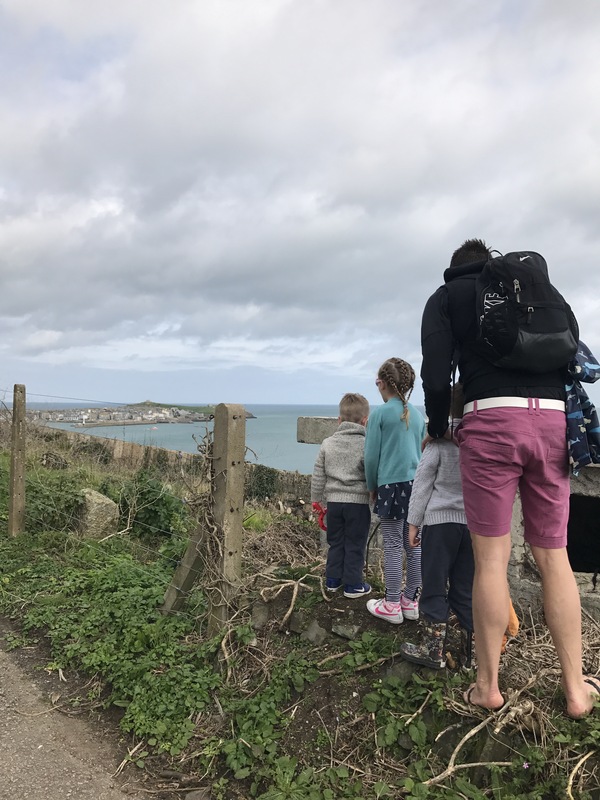 People would probably think a coastal path walk isn’t a good idea with young children but the path isn’t near the edge of any cliffs and isn’t too unstable. It’s just under 2 miles so mine have always managed it no problem even walking back again. It’s a little steep on the way up to begin with but it gives you a great view back over Carbis. 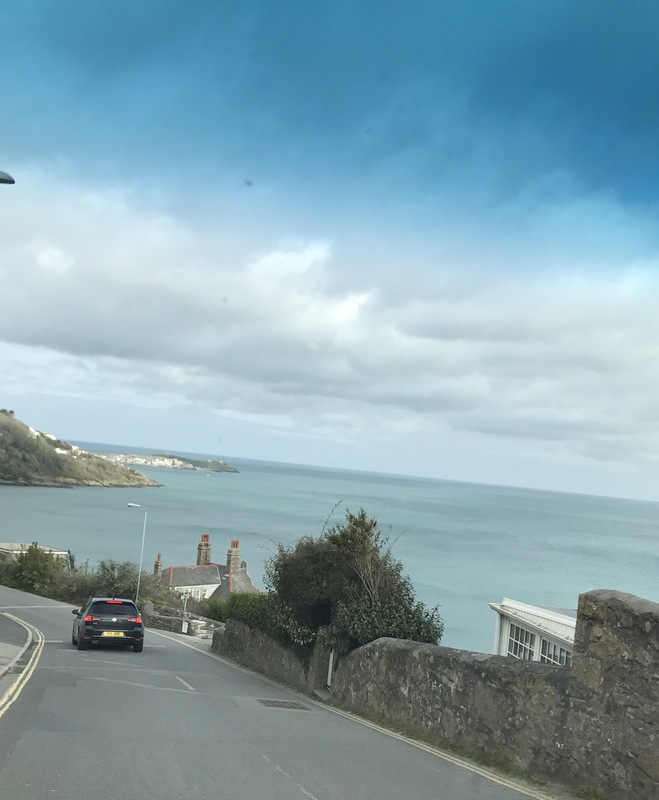 The view of St Ives as you approach Porthminster is beautiful. 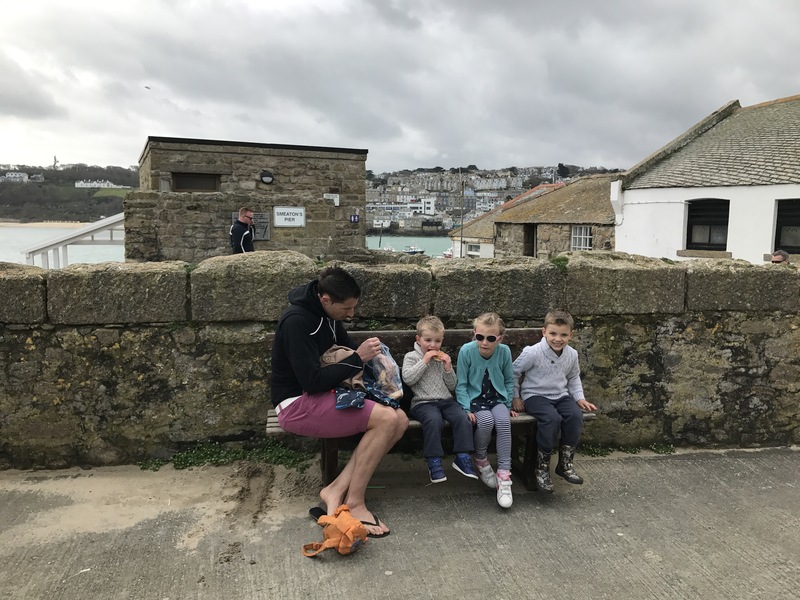 We always stop at Porthminster beach for the kids to have a play and they eat part of their packed lunch. You have to be careful both here and in St Ives for the seagulls. You can’t leave your food unprotected and we even stand over the kids whilst they eat as they will even take it out of your hands. I’ve had a pasty taken off my lap the first time we came and I’ve seen a toddler in a buggy have an ice cream taken! You can either go round the back of the houses or if the tide is out you can cut across the sand to St Ives. Instead of walking back today we got the train. They are only once every hour that stop back at Carbis so you need to get your timings right but the kids found it exciting and it was only £2.50 for all 5 of us. 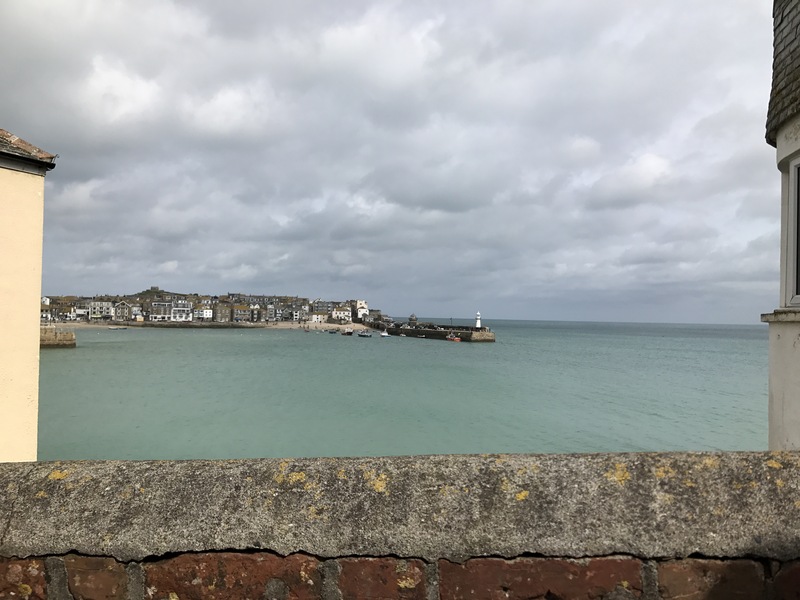 There is loads to do in St Ives, lovely shops and restaurants. A whole day of activities but the weather wasn’t warm today so we just had a little walk round (and time for a quick ice cream!) before we headed back as the kids wanted to go swimming! 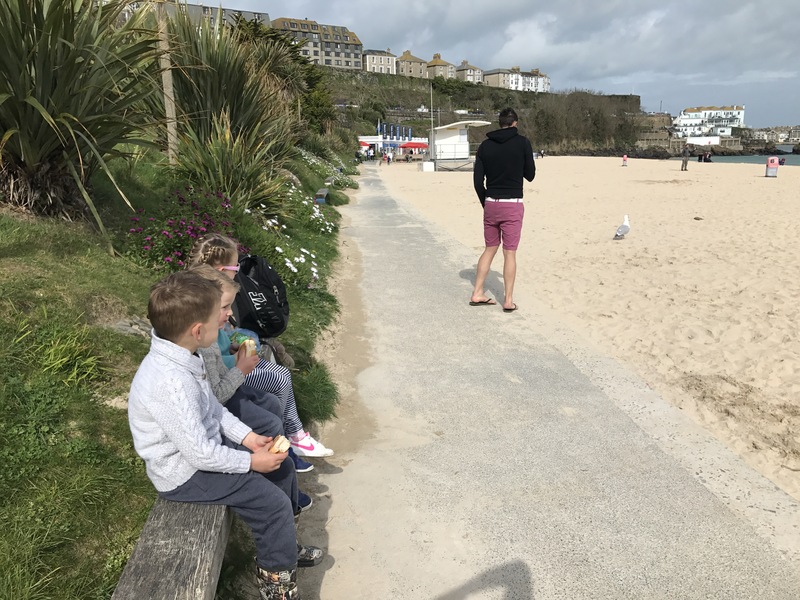 St Ives is busy and popular but parking and walking takes the stress away. When the kids were little and couldn’t spend a whole day on the beach this was a great activity to be out in the sun pushing the buggy so they could sleep! Carbis and Porthminster beaches are gorgeous. They are so different to others in Cornwall. Because of their positioning they don’t have any surf and the sand is very different too, these beaches are more like ones you would see in the Mediterranean. On a hot summers day you can definitely think you are abroad here.